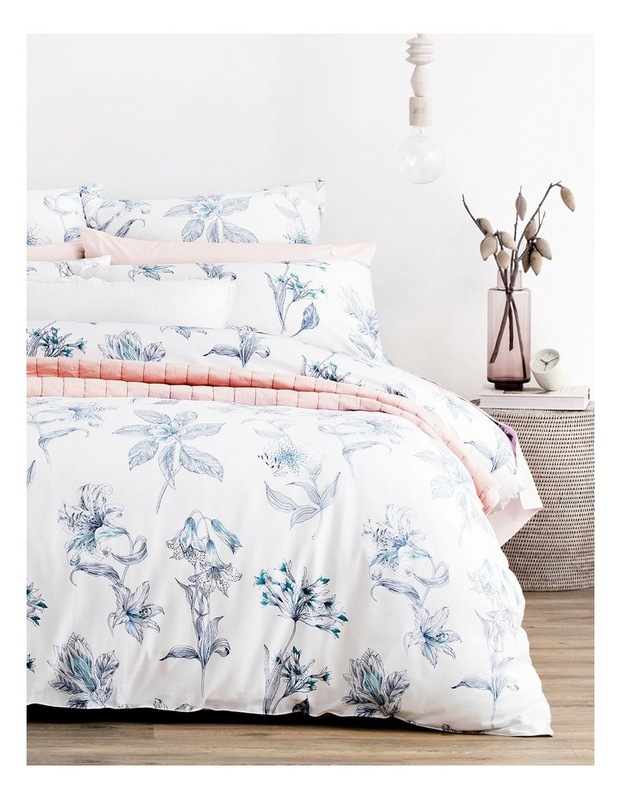 Luella Double Standard Quilt Cover Set. 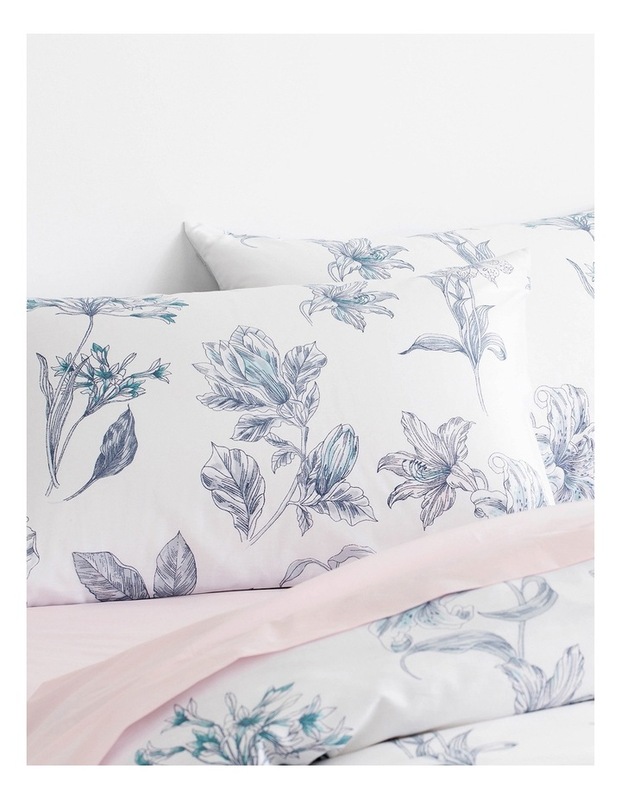 Inspired by the botanic of Far North Queensland, our Luella pattern features a modern update on a usual classic floral design. Hand-painted in the Sheridan Sydney Design Studio, our in-house artists fused ink drawings and sheer watercolour to create a serene design. Its reverse design features a soft colour palette, creating a subtle contrast.